The 50-metre-tall block will contain 19 apartments ranging in size from 90 to 180 m2. 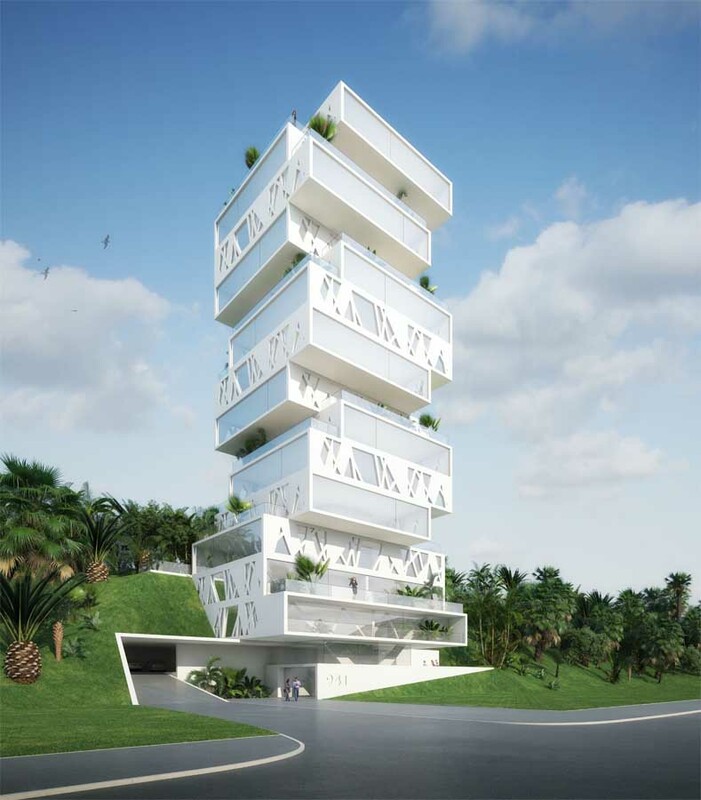 The concept for the tower is simple but extraordinarily effective: ‘maximizing’, making optimal use of the site’s potential, the local building code and the fantastic views of Beirut and the Mediterranean. 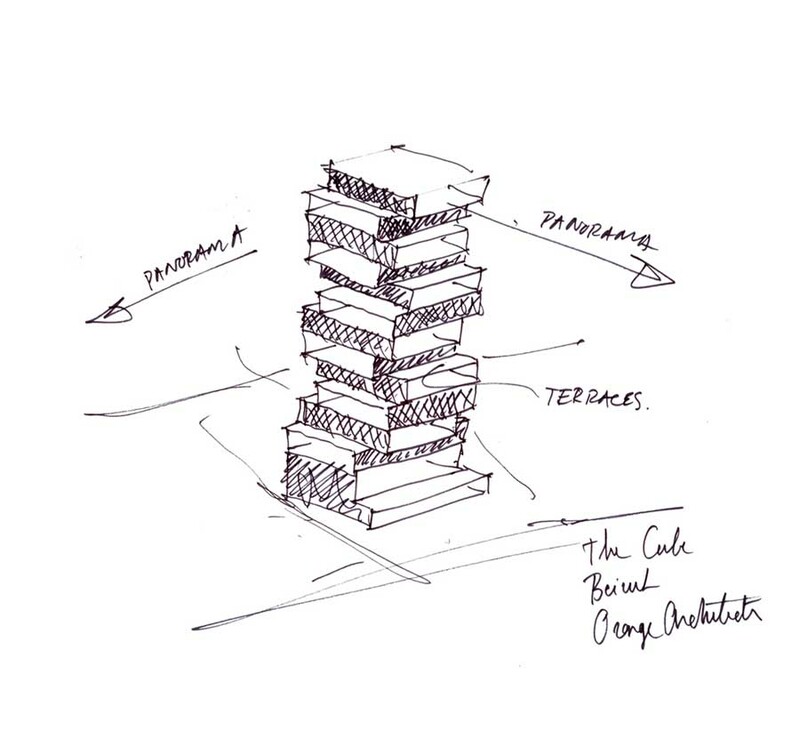 Within this conceptual framework, we will develop the most extensive building programme possible. 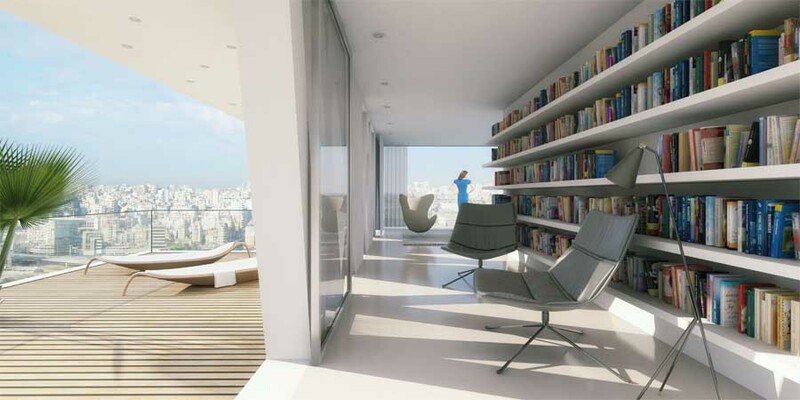 The maximum height will be achieved, and the view from each apartment will be optimised. For this purpose, 100-percent flexible floor plans have been developed. Thanks to the fixed core of lifts and staircases at the heart of the building, there are no constraints on the layout of the apartments. 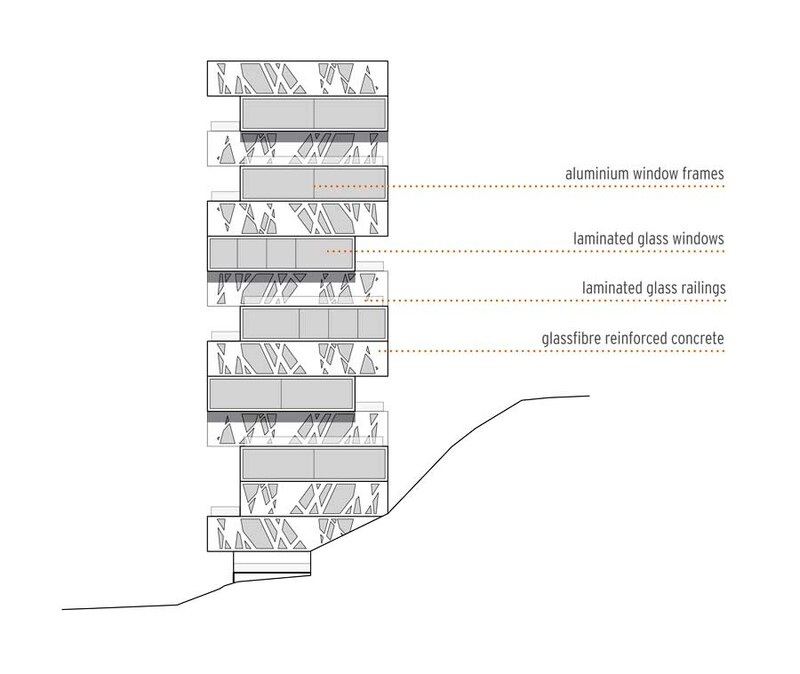 The floors run straight from the core to the exterior walls, which are composed of two transparent façades and two supporting walls on each floor, rotated 90 degrees per level. The walls, which are perforated, will largely determine the appearance of both the exterior and the interior. 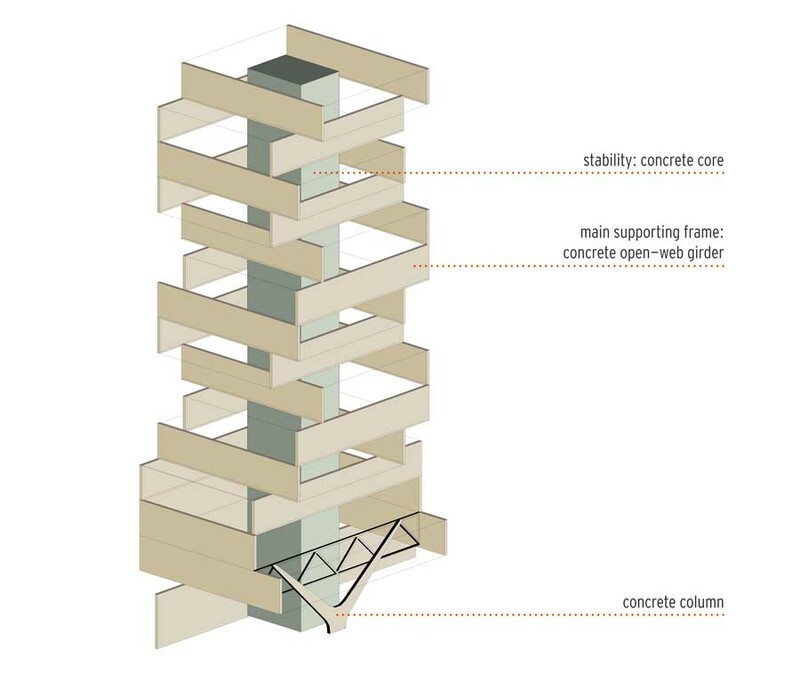 The core will also serve to stabilize the tower, which is in a seismologically active area. 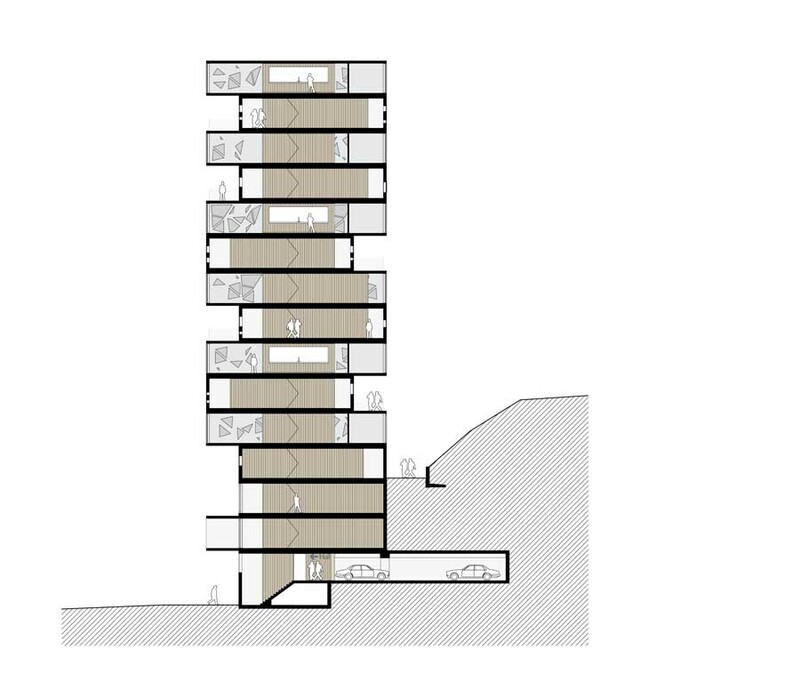 From the second floor upwards, each apartment covers an entire floor. 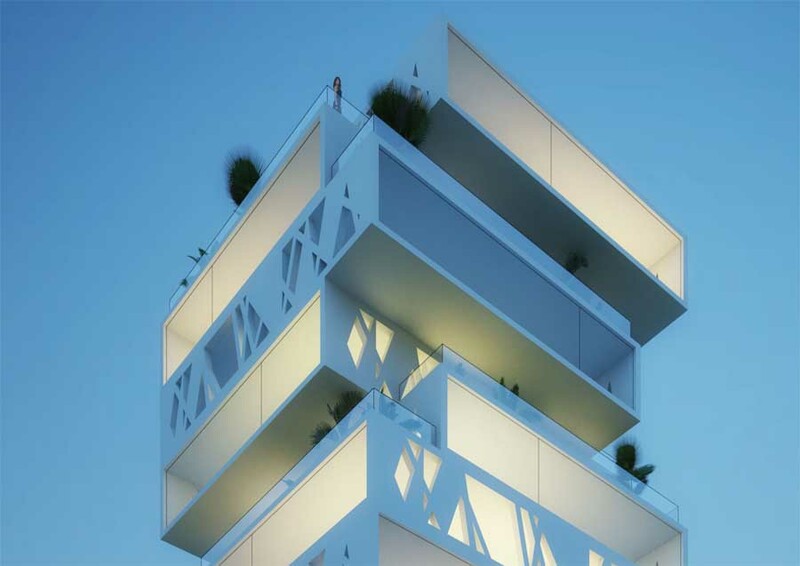 The rotation of the volumes on each level will offer residents magnificent outdoor areas on the roof of the apartment below, as well as panoramic windows with views of Beirut. The ground level of the building will hold the lobby, a parking garage for 25 cars (partly set into the adjacent hill), and the standard facilities areas. The roof of the entrance area will serve as an outdoor playground for children. This project has now reached the final design phase. Last week, both the client and the construction company gave the green light for the next stage. 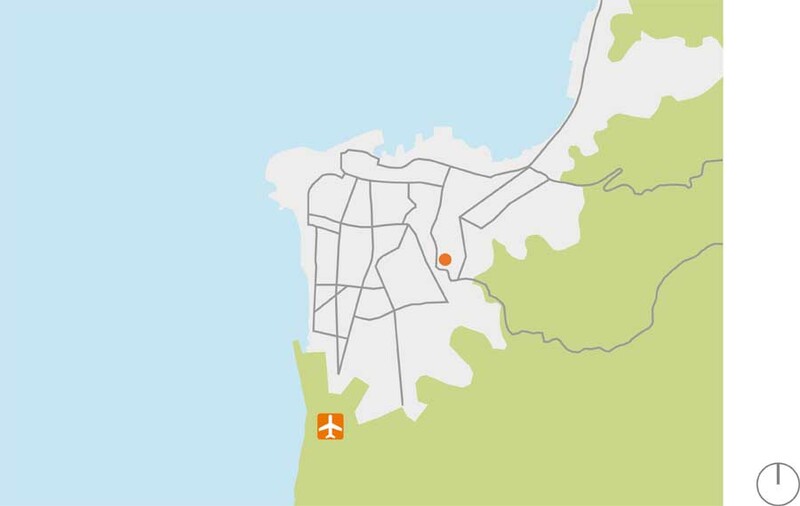 Construction of the tower block is expected to begin in 2012. 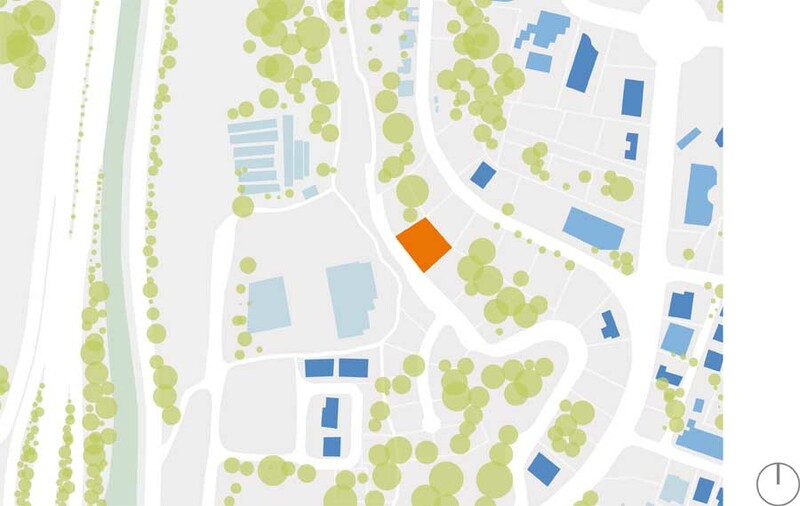 Orange Architects was established in 2010 by the Dutch architecture firms of JSA and CIMKA in Rotterdam and HofmanDujardin in Amsterdam. 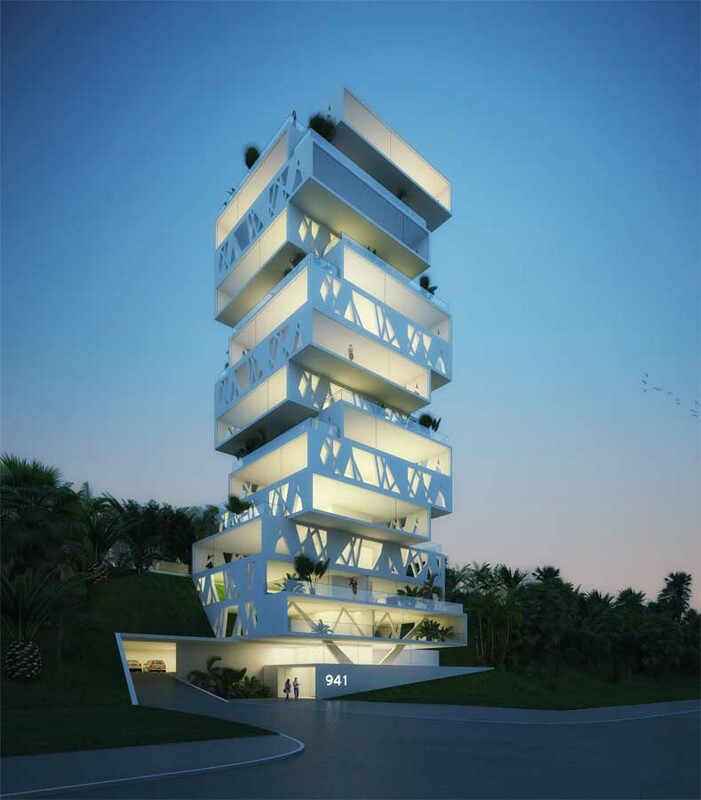 Their first joint project is the design of luxury residences in the Ajmakan development in Riyadh, Saudi Arabia.